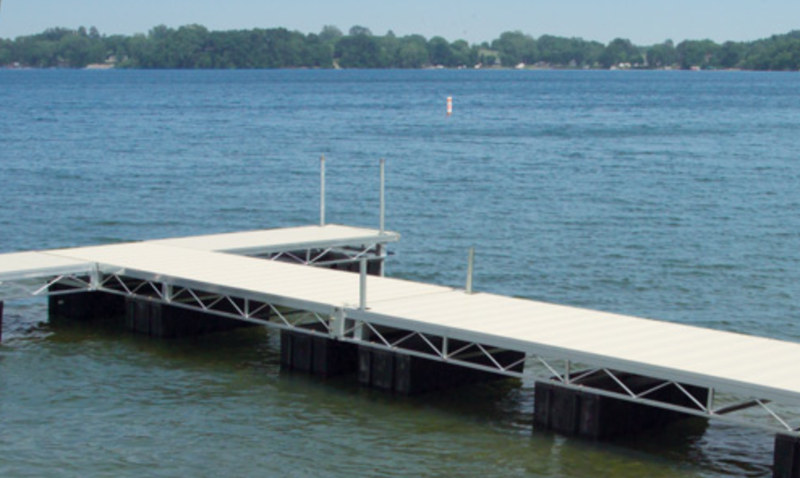 Floating docks are perfect for fluctuating water conditions, mucky shorelines, non-uniform lake bottom surfaces, and deep-water areas. Porta-Dock’s unique modular design and construction allow endless dock system configuration options — without sacrificing stability. Use our interactive dock configurator to build the dock of your dreams, complete with parts list. 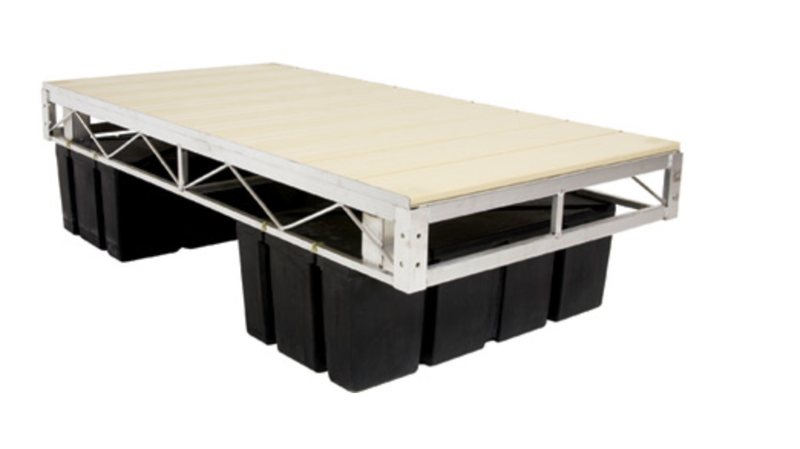 These floating boat docks are constructed of high quality marine alloy aluminum for maximum strength and durability. Aluminum is completely rust proof, weather proof, fade proof, and corrosion resistant. Your floating dock will be around for years and years. Truss rods are used the full length for maximum strength. The interlocking aluminum deck design and the thickness of the aluminum make this the sturdiest decking on the market. Features a high solids epoxy oven-baked white or beige enamel finish textured for skid resistance and your safety. Cedar decking offers elegance and superior quality. Panels are assembled with waterproof glue and rim shank nails for maximum strength.